Piper Super Cub L-21B Seneca – Air Heritage Inc. 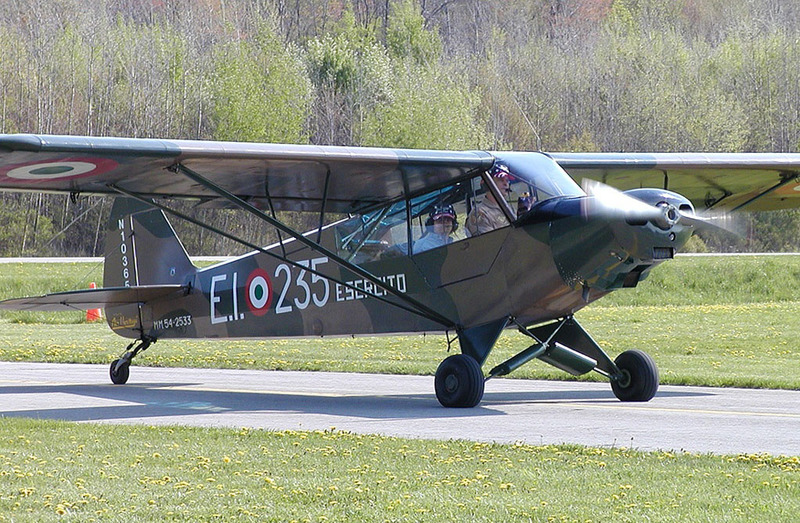 The L-21 is a conversion of the civil Piper PA-18 Super Cub with increased canopy area and military equipment. It is used for training and liaison work by the U.S. Army and Air Force and was supplied to many of our allies under the Mutual Assistance Defense Plan (MDAP). This restored example served in the Italian Army until 1979 when it was returned to the United States. 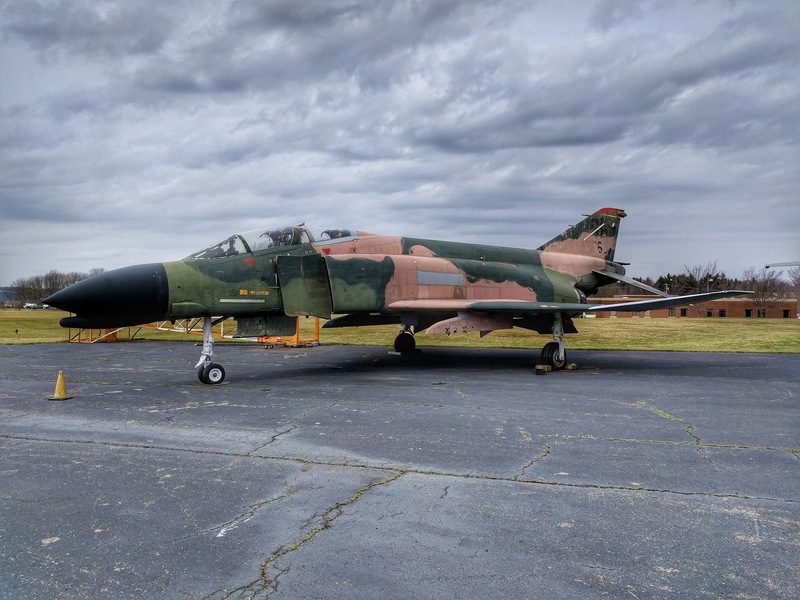 It was acquired by Air Heritage on June 1, 1987 and was totally restored back to it’s original Italian colors by the few dedicated members of Air Heritage at that time. Since June 22, 2009, and an unfortunate ground loop incident the L-21B has been under going another extensive restoration, complete covering and painting, with an engine rework. The paint scheme and markings remain in the colors of the Italian Air Force. 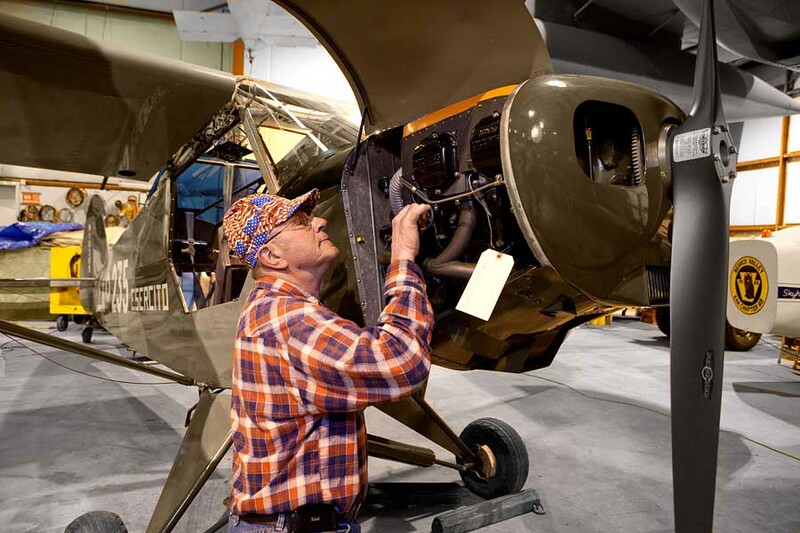 You can gather from its name the Piper Super Cub is an improved version of the Piper J-3 Cub. The L-21B was primarily purchased under the Military Defense Assistance Program where it was used by Japan, Netherlands, and Italy and was designated the U-7A in 1962. The Air Heritage Museum L-21B (Serial No. 54-2533) was built by Piper Aircraft at Lock Haven, PA and was completed on December 9, 1954 and was shipped to Italy under the above mentioned plan where it was flown by the Italian Army from the Viterbo Airbase. After its service in Italy the Super Cub was returned to the United States in 1979, and declared surplus. 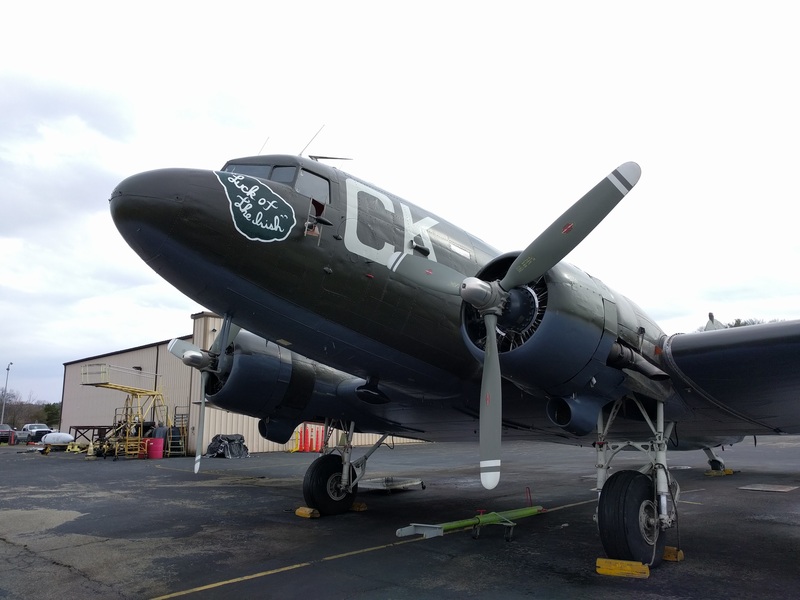 Thanks to the Pennsylvania Surplus Program this aiecraft was made available to Air Heritage Museum. Our members loaded the L-21B on an ultra light trailer at the surplus facility in Harrisburg, PA on June 1,1987. 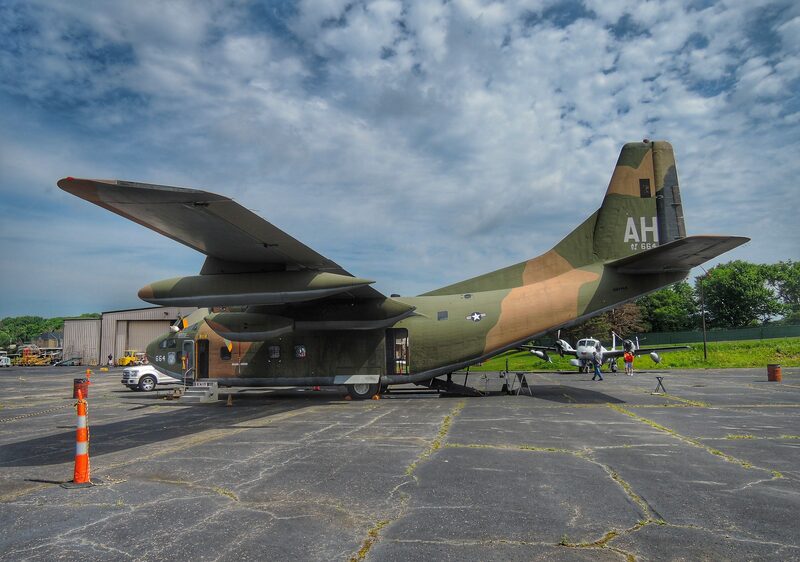 The aircraft finally arrived at the Beaver County Airport where it was hangared in the Stenson hangar. After fabric stripping and some fuselage tubing repairs the long task of restoration began. The members got there first chance at rib stitching and fabric covering. 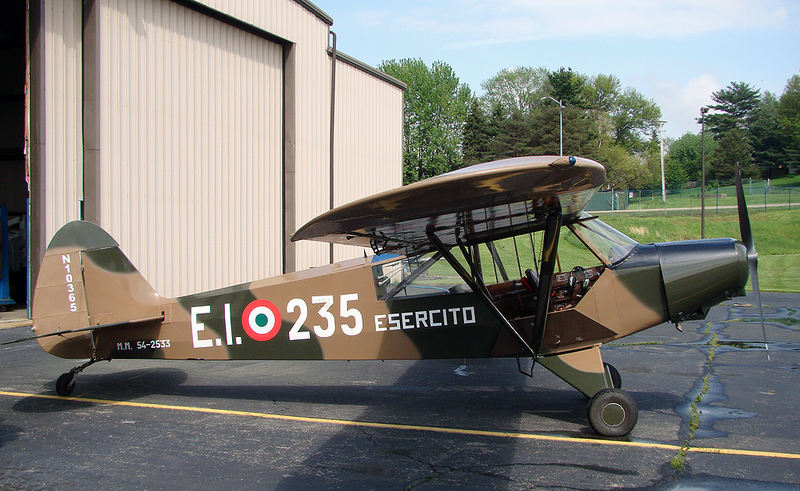 The restoration was recovered back to its original Italian army colors. Having completed the terms of the Surplus Program this L-21B was signed over to Air Heritage on June 1, 1992. 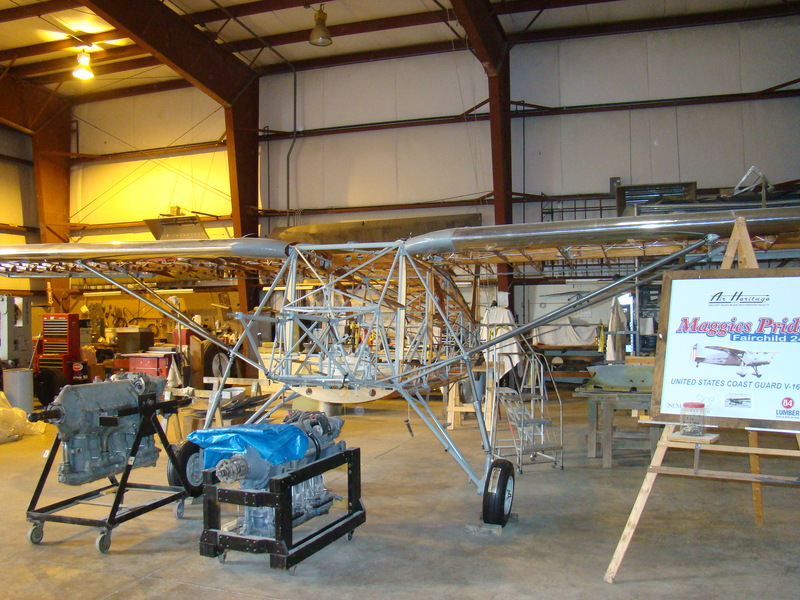 The restoration was completed in August 1993 when the Super Cub returned to the air. 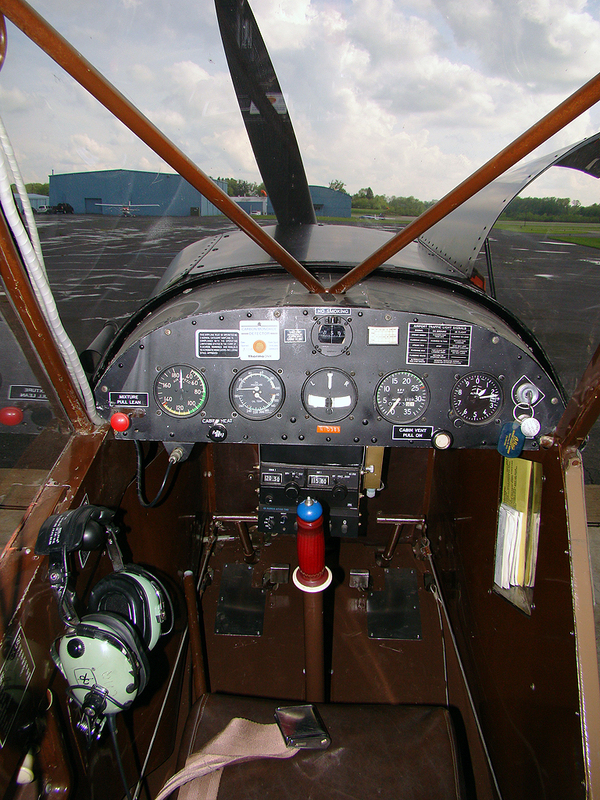 The Piper PA-18 Super Cub is a two seat, single engine monoplane. Introduced in 1949, developed from the Piper PA-11 and traces it’s lineage back to the J-3 Cub of the 1930’s, 9000 were built.